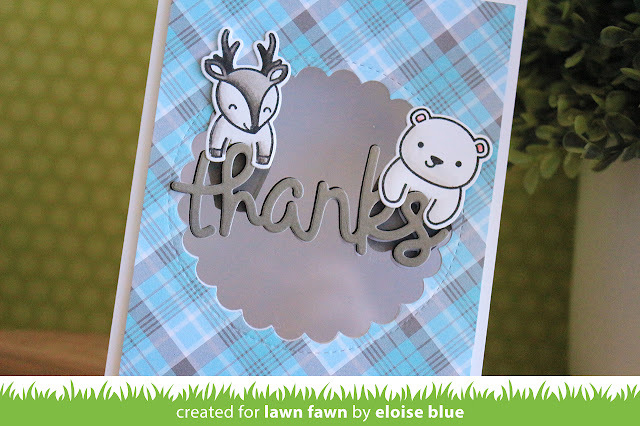 Hi everyone, I'm over on the Lawn Fawn YouTube Channel and Blog today and for today's card I'll be using the For You, Deer stamp set to create a window card where the critters hang over the sentiment and you can see them on the inside of the card too, it's super cute! Make sure you check over at the blog and you check out the video, it's linked down below to see how I made this card. Absolutely adorable and great color combo !